Please click here to open the event flyer. Here is our first Newsletter about the tournament! The NTBA Inc is pleased to be hosting the 2016 U15 National Titles – `The Val Nesbitt’ Trophy between the Friday 30th September and Wednesday 5th October 2016. Our aim is to provide competitors and supporters alike the best comfort and amenity to enjoy this tournament in our leased six court facility at 21 Albatross Street, Winnellie. Purpose of the event. That young people should be encouraged in the sport and for them to experience the joy of participation and making friendships that may endure their lifetime. The tournament is a series of Teams Championship ties and Individual Championship events shall be conducted over not fewer than four days commencing in the September school holiday period of the host association each year. Competition for the Val Nesbitt Trophy will be a Teams Championship series. Many thanks to our sponsors for this event. Handy Information for teams and families. Here are some links to the information and tips you will need to mount your mission to the Top End. Please note that the competition is being held on the tail of most various State and Territory school holiday dates so you will need to book early. This is also the last few weeks of the NT `dry season’ so please note that flights, rental cars and accommodation can be a tad expensive or non-existent if you leave your bookings too late. All visitors are urged to explore the Top End Holiday Guides in operation via the website. Great news for folks coming up for the Val Nesbit Under 15 Titles! Your team mates, families and friends can access this link to make your bookings. If you don’t have to rush then consider booking a week or so either side of the Val Nesbitt Tournament and enjoy the warmth, hospitality and sights of the Top End. There are such delights as Litchfield National Park, The Territory Wildlife Park, Jumping Crocs, the Darwin Festival and Darwin International Film Festival to factor in to your getaway. Immerse yourself in the Territory… but not the beaches, rivers or billabongs. 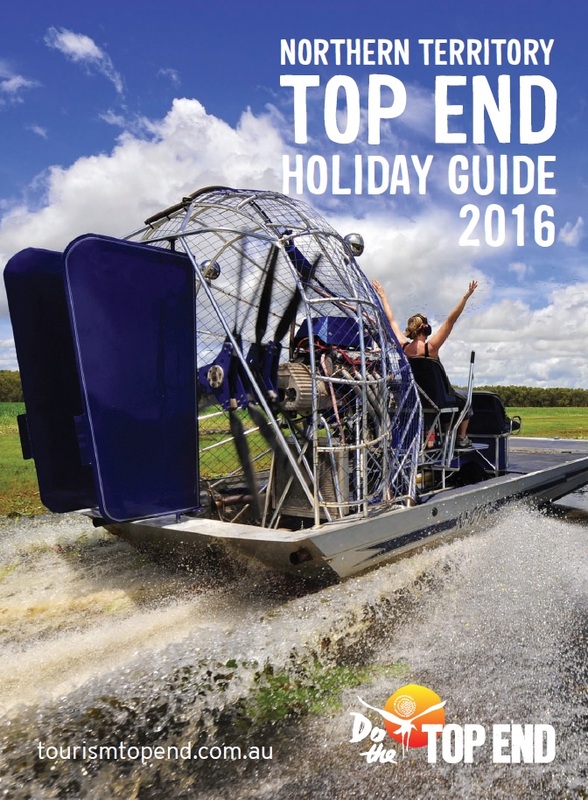 Copies of the 2015 Top End Holiday Guide were dispatched to the 2015 Tournament to whet the appetite for 2016 and the 2016 Guide is now available : Click here to view online version. It also provides visitors with details of accommodation (including caravan and camping parks) attractions, tours and charters, fishing charters, vehicle rental etc.